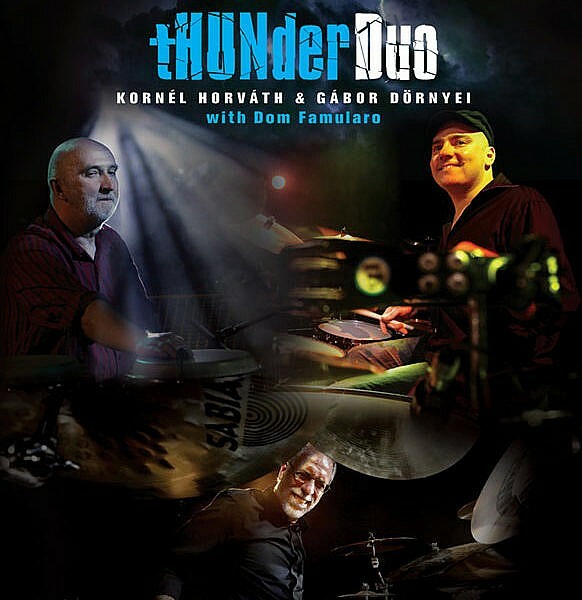 This is Thunder Duo – Kornel and Gabor speaking, smiling, laughing and crying, living and dying alone and together through their drums. Thunder Duo is a unique experience that reveals worlds of influence, from European and American funk grooves, to the rhythms, beats, and claves of Indian, South American and African patterns, with every stroke resonating nuances of passion. 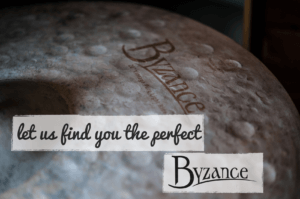 This duo whispers, rages, roars and pulses as it pulls you into its sensational world of rhythm. At times veering close to the abstract, rhythmic goals are achieved with strokes of brilliance, and your mind clicks with the realisation that Thunder Duo is about music with meaning. But what matters most is the devotion to excellence as well as excitement. Kornel and Gabor travel the world. They know the music and they play it with meaning. Exciting. Daring. Human. Thunder Duo is all about sensational drumming. And that is what you will see and hear along with sensational special guest Dom Famularo in this exciting film, Thunder Duo Live with Dom Famularo.